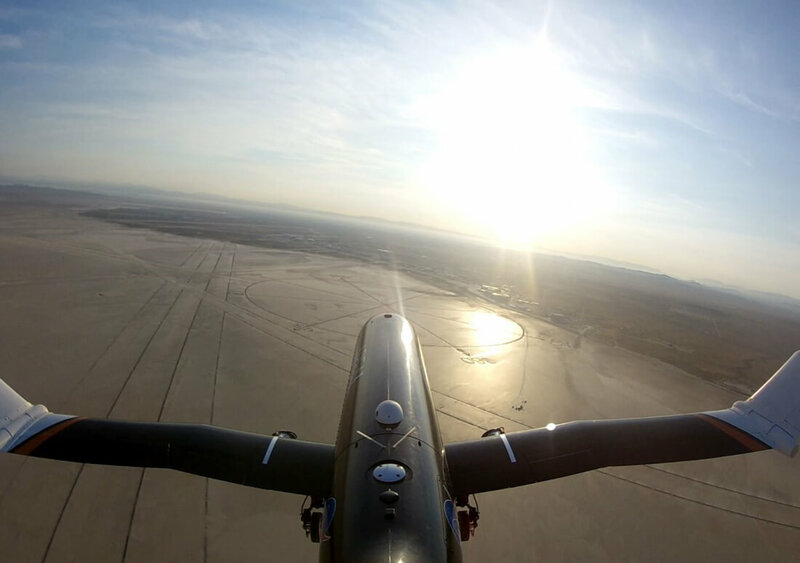 The fixed-wing plane may be a thing of the past if NASA's latest venture is successful. The space agency as part of the "Spanwise Adaptive Wing" (SAW) project recently began testing planes with the ability to fold their wings during flight in the interest of improving maneuverability and speed. This concept is nothing new (aircraft as old as the XB-70 Valkyrie had folding wings) but NASA's method of implementing it is. Previously, planes had to use heavy hydraulic systems to fold their wings, a technique NASA believes is too "cumbersome" to be practical nowadays. Instead, the agency is taking advantage of a new wing material dubbed "shape memory alloy" that can react to high temperatures to change its shape - in NASA's case, this temperature activation will work by using "thermal memory in a tube" that can function and move as an actuator. "We wanted to see: can we move wings in flight, can we control them to any position we want to get aerodynamic benefits out of them, and could we do it with this new technology," said Othmane Benafan, SAW Co-Principal Investigator. "Folding wings has been done in the past, but we wanted to prove the feasibility of doing this using shape memory alloy technology, which is compact, lightweight, and can be positioned in convenient places on the aircraft." Thanks to this technology, NASA has been able to reduce the overall weight of their test planes by as much as 80 percent compared to older implementations of the system. This drastic weight reduction could help NASA achieve more efficient supersonic flight, allowing their aircraft to more safely and efficiently fly faster than the speed of sound. "There’s a lot of benefit in folding the wing tips downward to sort of ‘ride the wave’ in supersonic flight, including reduced drag," said SAW Principal Investigator Matt Moholt. "This may result in more efficient supersonic flight." The SAW project team intends to continue developing and improving upon this technology over time to usher in the "next generation" of supersonic flight. Moholt hopes the team will be able to "not only reduce drag but also increase performance" as an aircraft transitions between subsonic and supersonic speeds in the future.